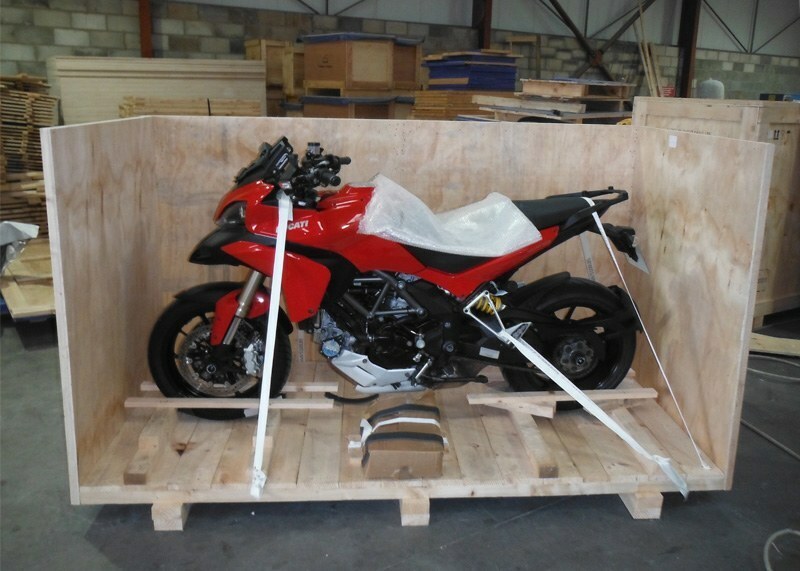 Premium crating solutions for shipping your Motorcycle or ATV abroad. We custom build our crates to provide a tailored fit for your bike, no matter what size or shape. Our motorcycle crates are engineered and built to maximize space, facilitate shipping and provide maximum protection. Side panels are constructed using both framing and plywood members. Blocking and tie downs to keep your motorcycle stationary and secure during shipping. Crate braces add to the structural integrity of the crate. We know that bikers really value their bikes and we only manufacture high quality manufactured packing cases, so please contact us with the details on your bike we will give you an extremely competitive price. Export packing solutions provided by the experts!